I happen to be blessed to know one very special Filipino named Ai. She’s married to Ben’s cousin and is a fabulous lady both inside and out. One of her many talents is that she’s a boss at cooking. Whenever she makes something I always steal her recipe because Ben ALWAYS falls in love with the dish. If you remember a certain Pad Thai post of ours- that is also a recipe from Ai’s repertoire. Thank you Ai for sharing your heart and your recipes with us. Our lives are immensely enriched because of knowing you! 1. Preheat oven to 400 degrees. 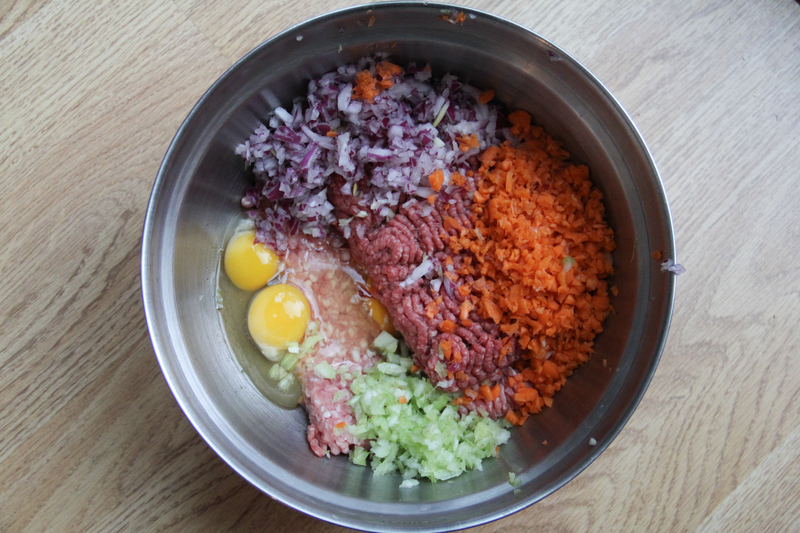 Chop up your onion, celery and carrots. 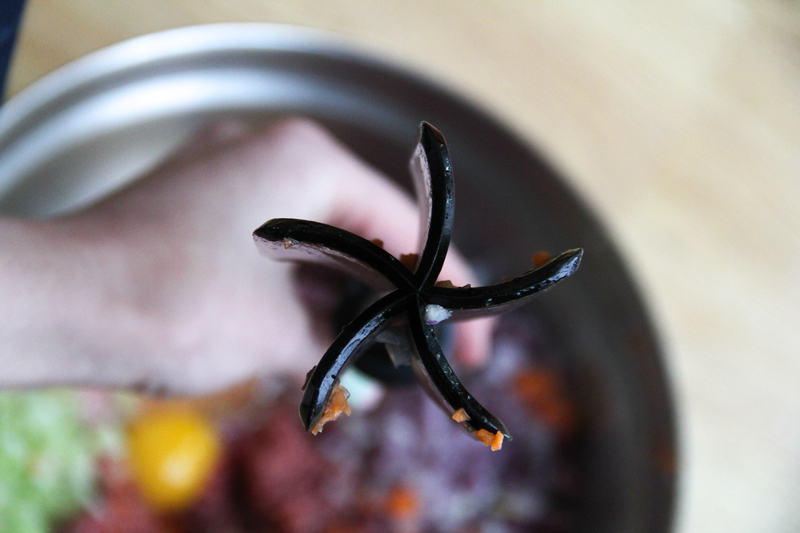 You can use a food processor or hand chopper if you have either of them. 2. 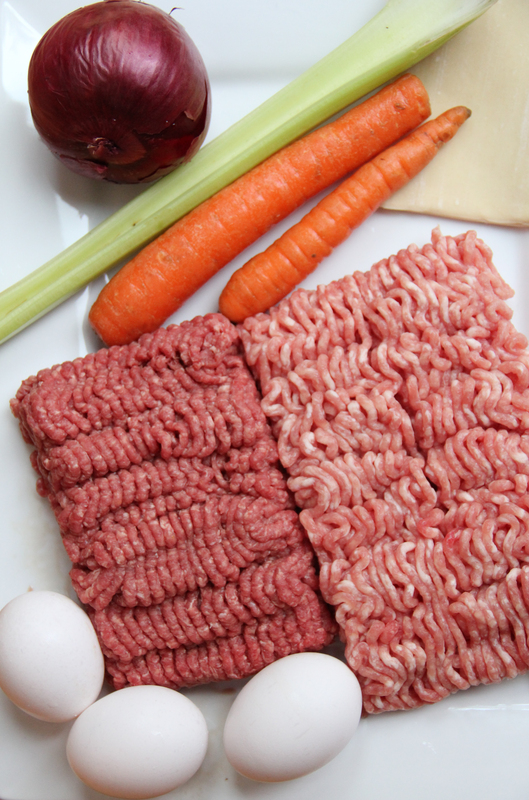 Combine the onion, celery, carrots, ground pork, ground beef, eggs, salt and pepper in a large bowl. 3. Mix well. This tool is from Pampered Chef and it is my FAVORITE tool ever. It breaks down meat like noone’s business. I also use it for mashing up fruits like bananas and strawberries too. 4. 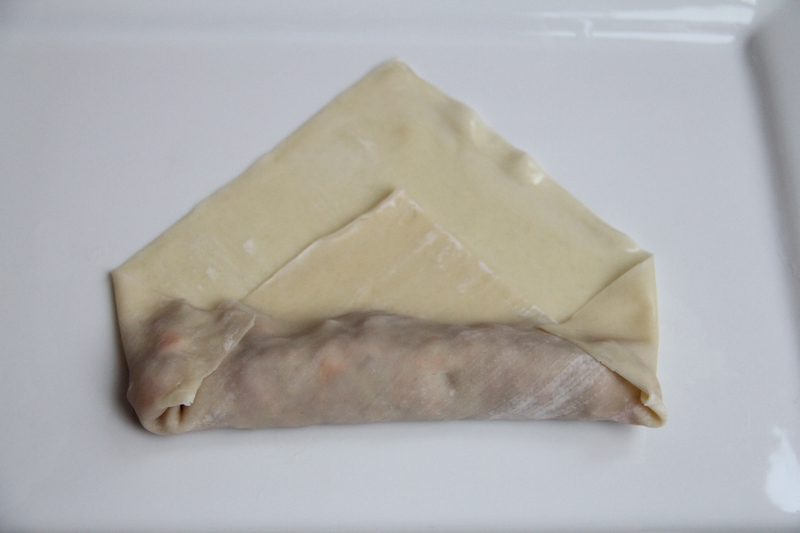 Take an egg roll wrapper and place the mixed filling on the bottom third/half of the wrapper as shown above. Make sure to leave room on the sides. 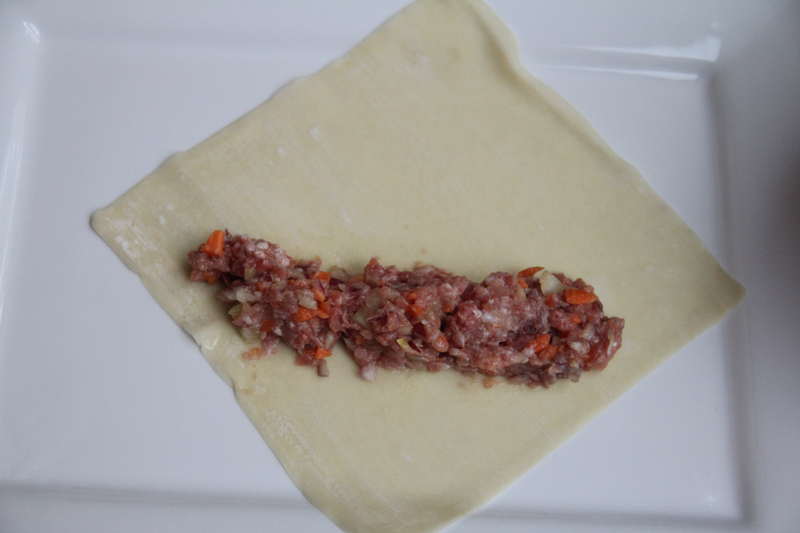 Make sure to not stuff it too much or you will have a hard time making a tight roll and they end up messy. This is an entree size Lumpia. To make it more of an appetizer size just use less filling. 5. 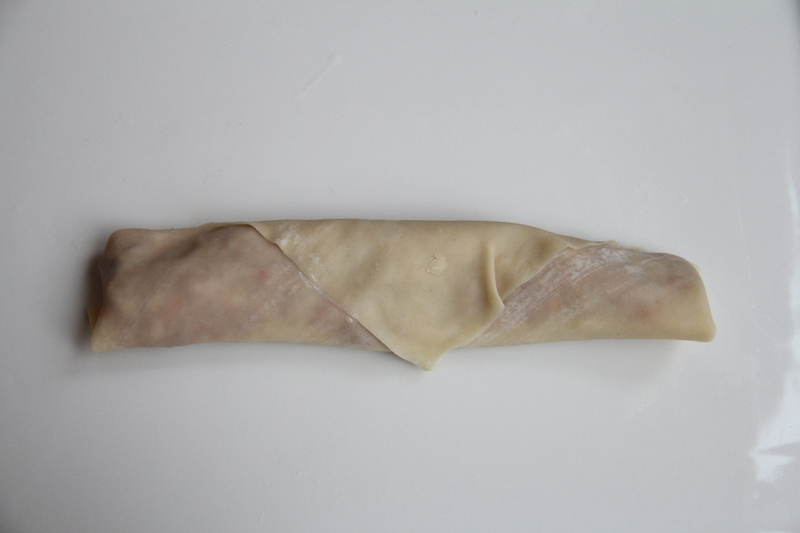 Fold the bottom corner over the filling and tuck it in snuggly. 6. 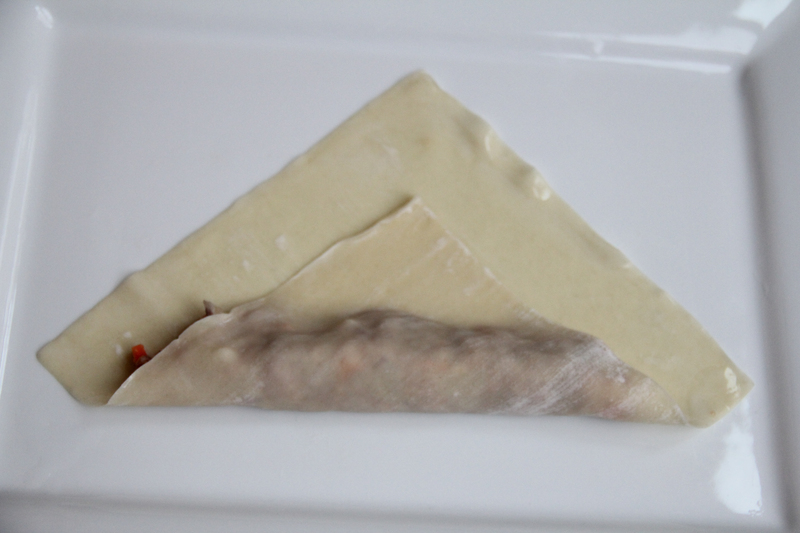 Fold in the sides over the top of the filling as shown above. 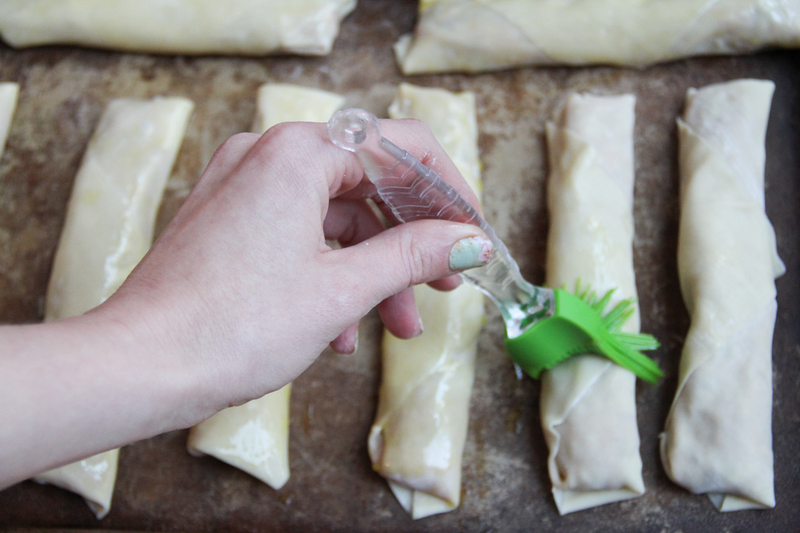 This will keep the filling from oozing out while cooking so make sure to fully cover everything. Take some water on your finger and dab it all along the edge of the wrapper on the top and down the sides. This is what seals and adheres the wrapper together. 7. Roll the wrapper up until it makes a nice tight little roll. The tighter the better. 8. 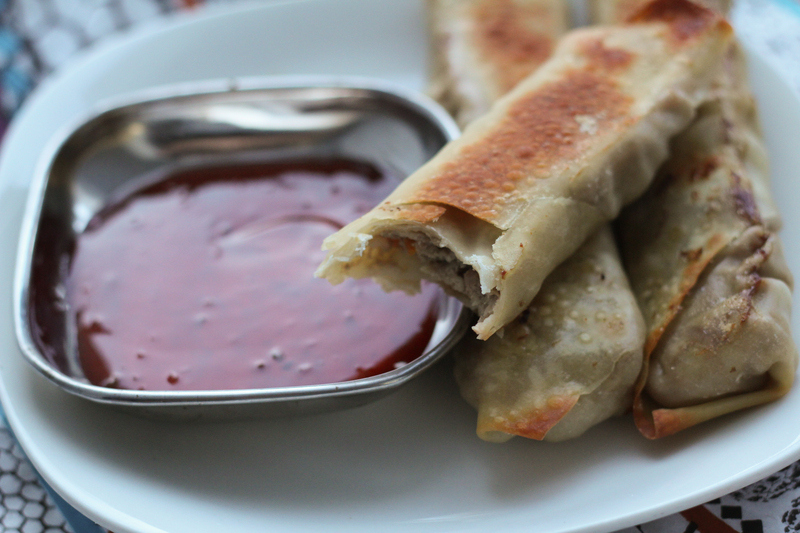 To make these traditionally you would throw these bad boys in a deep fryer until crispy. I don’t fry our food and prefer this healthy alternative. 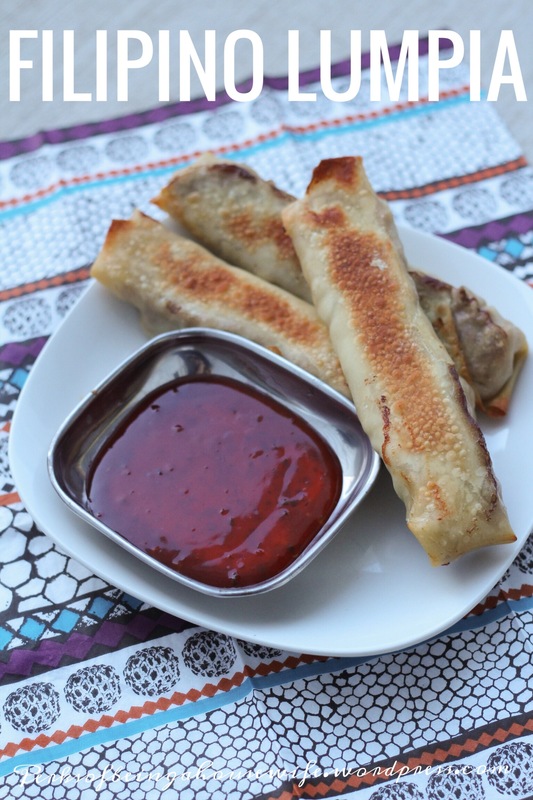 Take and brush all sides of the lumpia with a little extra virgin olive oil. 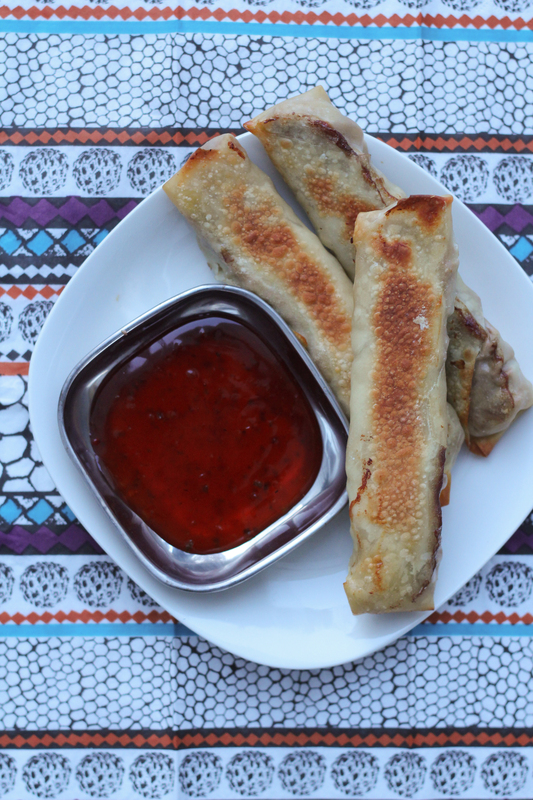 Place them on a baking sheet or stone leaving a little bit of space between the lumpia. 9. Bake at 400 degrees for 30 minutes. I tend to flip them over and bake an additional 10-20 minutes so all sides get crispy. If you are in a time crunch you can also throw on the broiler after the first 30 minutes and crisp them up for a few minutes too. They are done when the majority of the roll is golden brown. 10. 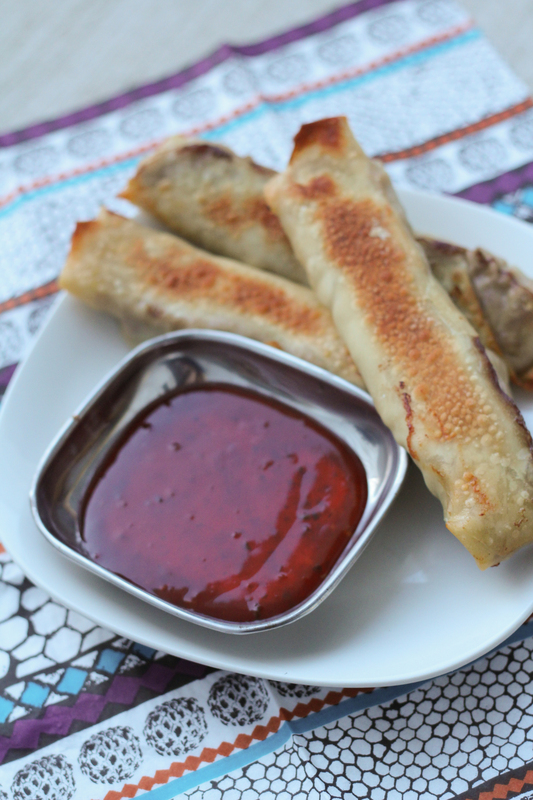 Serve with sweet and sour sauce. Looking forward to having these for supper tonight!